Shiso or Perilla is a fragrant leafy herb commonly grown in East Asia and is used particularly in Japanese and Korean cooking. 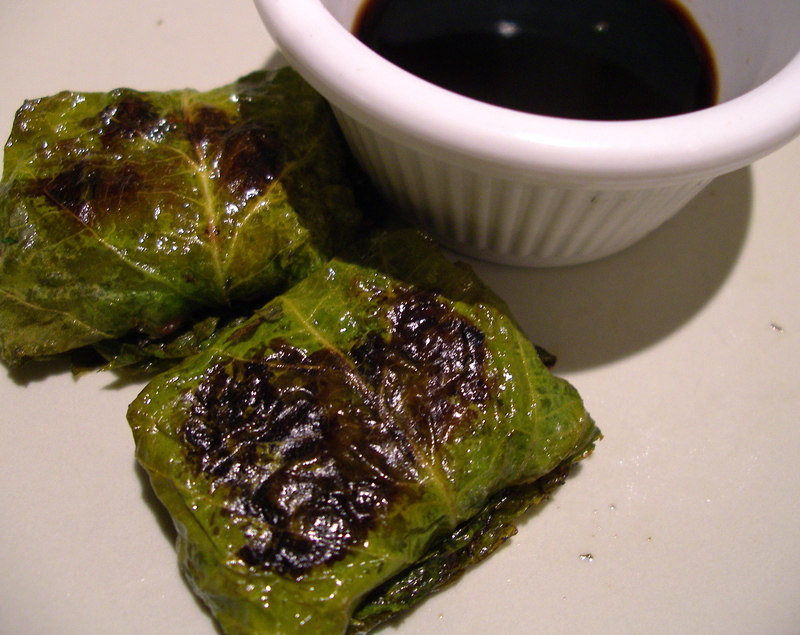 The leaves are large and make a wonderful material to use as a wrapping for delicate meats or vegetables. These are stuffed with a pork and rice mixture seasoned with Asian flavours of ginger, garlic, sesame and soy but you could use tofu as a vegetarian version. a dash each of: sesame oil, soy sauce and fish sauce (optional). Mix 2 parts pork to 1 part rice with a hint of garlic, ginger and green onion, add the wet ingredients and mix really well. Add a little beaten egg to bind. 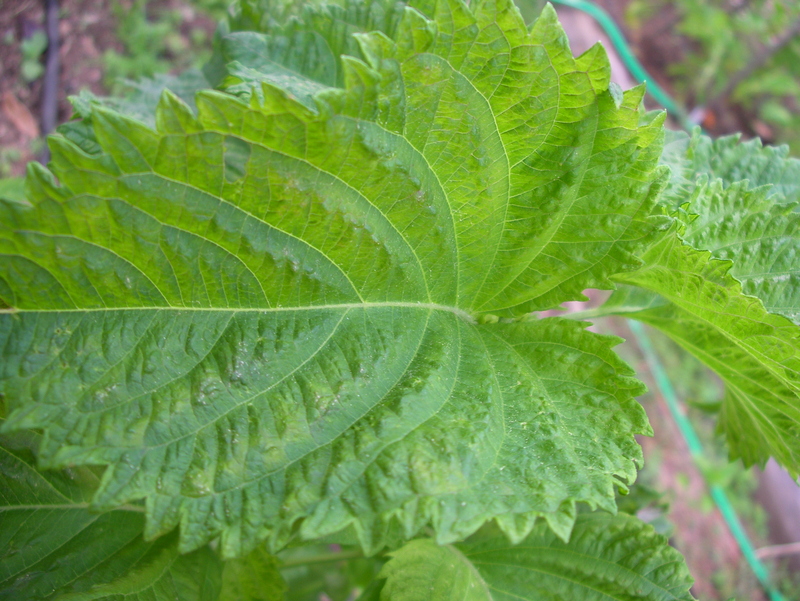 Take large shiso leaves one at a time, lay on a board with the pointed end away from you . Lay a small spoonful of mixture about 1/3 of the way in the thick part of the leaf. Fold in the sides then once over from the front then flip over onto the pointed end. Cook by frying in an oiled skillet or brush with oil and grill. They can also be cooked over a fire or barbecue. Serve with a simple dipping sauce of soy sauce and rice vinegar, add a hint of chilli if you want some heat. Garden Note Perilla frutescens var crispa A Tender Self-Seeding leafy herb also known as Shiso or beefsteak plant. Perilla is a member of the Lamiaceae family, which includes many strong aromatic herbs including; mint, basil, rosemary, lavender, Melissa, marjoram and sage. This tender bushy herb is grown for its aromatic leaves, flower buds and seeds. Used extensively in East Asia as a vegetable and as a herb, most famously the red variety is used to colour pickled ginger. It makes a great addition to a kitchen or herb garden and when the leaves are large enough great as a wrapping for grilled or deep-fried foods.